My insulin pump lives a hard life. It gets dropped, bounced, bonked, yanked, bumped, and knocked around quite a bit. What would you expect for something that lives 24/7 on super uncoordinated me? Thank goodness for warrantees, since I seem to go through a pump every year or two. In fourteen years of pumping, I've only had a few pumps all out die on me. 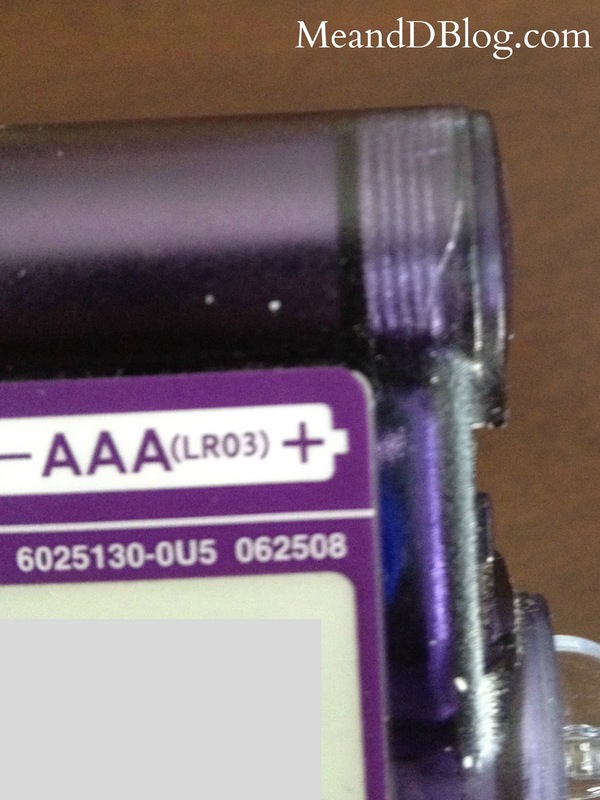 Mostly they develop small cracks, at which point Medtronic has told me to call and get them replaced. 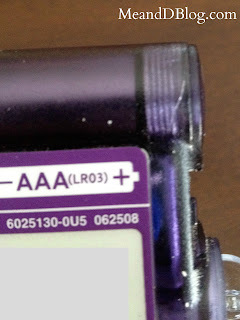 Last week I noticed two small cracks on my pump, up near the battery cap. And since the pump can't function without proper battery connection, I didn't want to mess around. It was still working fine, and I wanted to keep it that way. Cracks right where the battery cap meets the pump. Guess it's that time again. Call Medtronic customer service, attempt to explain the size and location of the crack over the phone, answer a few more questions, and a replacement pump is on the way. I called on Sunday evening, so the replacement pump arrived Tuesday morning. 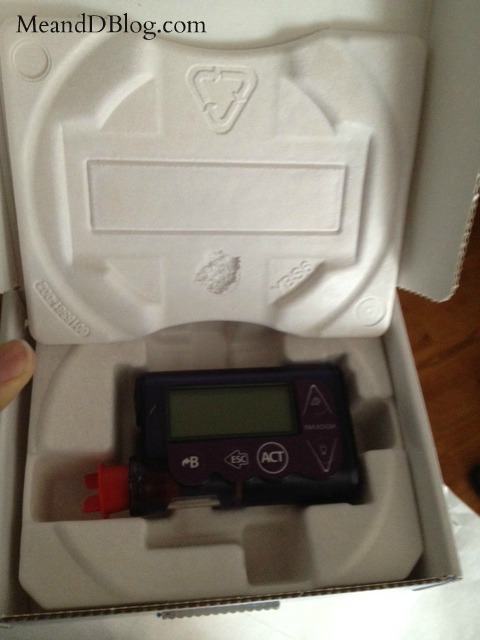 Time to put all my settings in the new pump. Then we're up and running! Matching pumps! Minus the scratches and cracks. And then the old pump goes back to Medtronic. This one made it through a year and a half of loyal service. 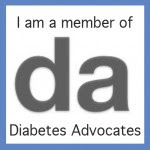 I get a bit sentimental when it comes to my diabetes technology. 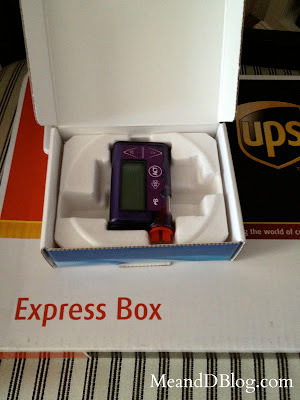 So thanks, pump, for giving me my insulin and keeping me alive for the last year and a half. We've had a good run. Goodbye old friend. Have you ever gotten a button error on your pump? I got that on my MM 722 about 3 weeks ago. They sent me a new pump!!! Apparently my pump was old enough that when I was wearing it on bike rides, sweat was getting into the case and started messing things up. Craziness!!! I personally have not had a button error, but I know a lot of people who've had the same problem. I know that's one big reason Medtronic wants people to go ahead and get the pump replaced when it cracks. The cracks can allow water or sweat to get inside the pump and mess things up. Glad you got yours replaced without a problem! Mike, you should go read Bethany's Me With D blog (not to be confused with this one, Me AND D"). She just wrote about how sweat has ruined her pump. http://bit.ly/P1HSwE Granted, it won't happen in the same way with you, but it CAN happen! I feel the same way. 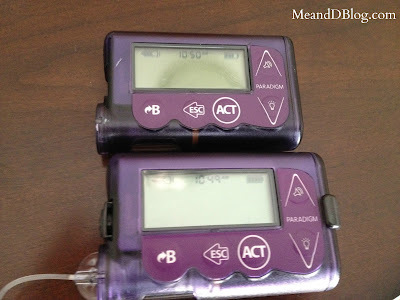 I've been really happy with Medtronic's customer service. So far, my pump has been great. Had my Revel for a year and while I'm pretty careful with it, it definitely has had it's fair share of abuse. I cut a screen protector and cover the screen with that, and then I always have a skin on it (available from Skinit.com) which protects it against scratches (and also makes it a bit more personal). But I feel you about the sentiment; I have a connection (no pun intended) to my pump that is quite deep for an inanimate object. I get attached too. even though it's being replaced by the exact same thing. these things.. they become one with us. When something helps keep you (or your kiddo) alive, it's not difficult to be attached to it emotionally!! It was hard to send back Bean's PDM when it was replaced...it was her first one. Maybe it will be easier next time?!? We use Medtronic too! They are wonderful! I know how you feel about getting sentimental with a pump. When you switch them, watch the screen go dark, and start using a replacement, something just isn't the same. The sounds, the feel, even the look -- it's just not the same.